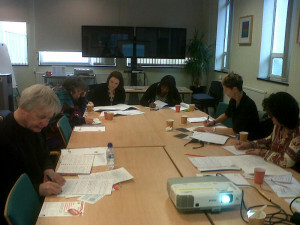 I never fail to be impressed by how well participants in this workshop grasp the pitching principles I offer. I am convinced that most people are aware of what it takes to make a good sales pitch but perhaps have not had the opportunity to pull what they know together and also to reach for the sales person hidden inside each of us. 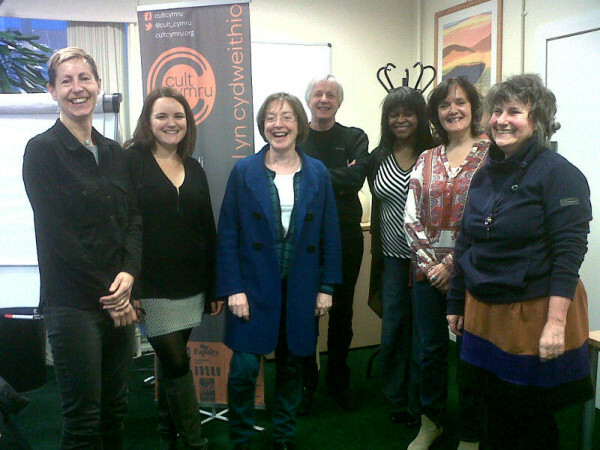 And it’s fun – as you can see in the photograph above – happy faces at the end of the workshop I delivered on 10th March! When someone has an idea that they really believe in it is a pleasure to offer some guidance on how to it take out from the heart and place it in the spotlight. The amount of improvement achieved in the pitch between 9.30 and 4.30 is truly impressive. The workshop offers a solid blend of theory and practice: my 36-page handbook is a great take-away and each person gets at least two opportunities to pitch and receive feedback. It’s on the CULT Cymru (Creative Unions Learning Together) roster of training provision for members of trades unions in the creative sector and is open to non-members also.